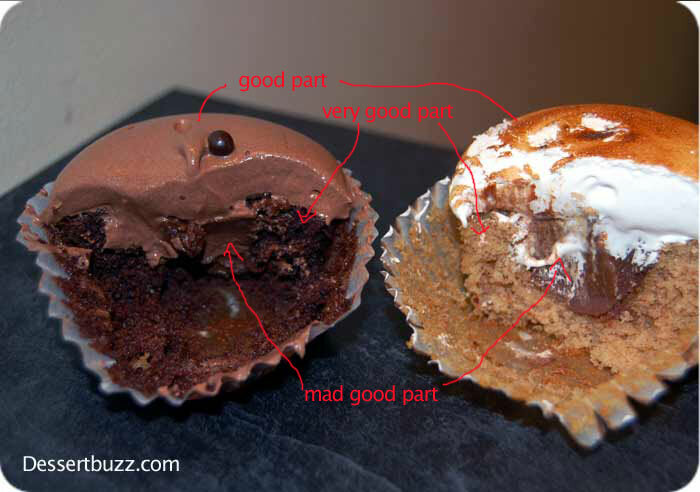 Dessertbuzz | Best cupcake in New York City: Grub Street says Chikalicious DessertBuzz Agrees! In a feature on Grub Street, Gramercy Tavern’s Nancy Olsen rated 15 of New York City’s best cupcakes on and rankedDessertBuzz favorite Chikalicious number one. She also rated Kyotofu 3rd which is another DessertBuzz recommendation. Truthfully, whenever I see a list like this, especially one backed with a celebrity name, I always cringe. I feel like these features usually miss some of the best and are far too easy on the most popular places. So kudos to Nancy Olsen for telling it like it is on the weighty subject of the best cupcake in New York. Olsen’s list lines up with mine pretty damn closely. She is totally spot-on with ButterCup and Billy’s being dry. I have always wondered if the patrons of these places have any idea what a good cupcake tastes like. She did get a few things wrong. I have had the cupcakes at Sugar Sweet Sunshine many times and never found them dry at all so I am not sure where that came from. I have reached out to some of the big cupcakes sites to see what they think. I’ll report back soon. 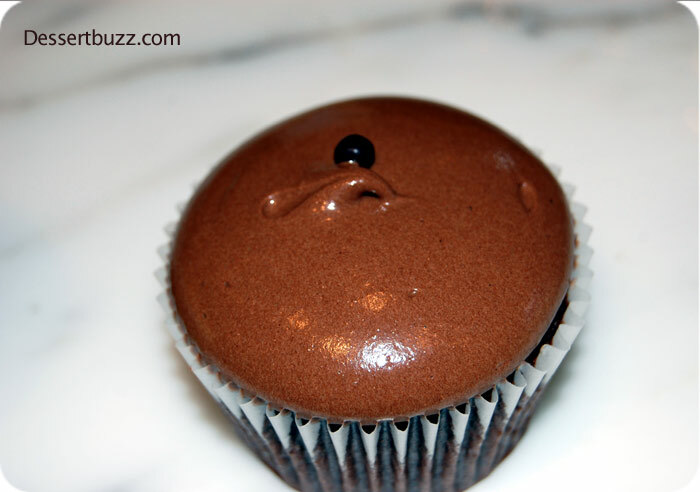 Chikalicious Dessert Club: The best cupcake in the city? Magnolia and Crumbs may get the press but its not exactly news that they aren’t the best cupcake in town. New York Magazine named Kyotofu the best cupcake over 2 years ago (I agreed). Since then there have been other “alternative cupcakes” such as Sugar Sweet Sunshine and Royale Bakery. I would like to introduce 2 more possible claimants to the cupcake throne: One is very well known: Chikalicious Dessert Club and one that is off the beaten path (at least for now), Sweet Revenge. The truth is I don’t really like regular cupcakes. They’re overly sweet, often dry and the frosting is granular and nasty. But the triple chocolate cupcake with chocolate ganche filling from Chikalicious Dessert Club is really more than a cupcake. It’s a dessert (you can’t easily make it at home). Its got both a unique frosting and filling that differentiate it from its peers. The Ganache filling isn’t just some over-sweet chocolate colored paste. It actually tastes like real chocolate. It’s hard to “one-up” the triple chocolate unless you like marshmallow. 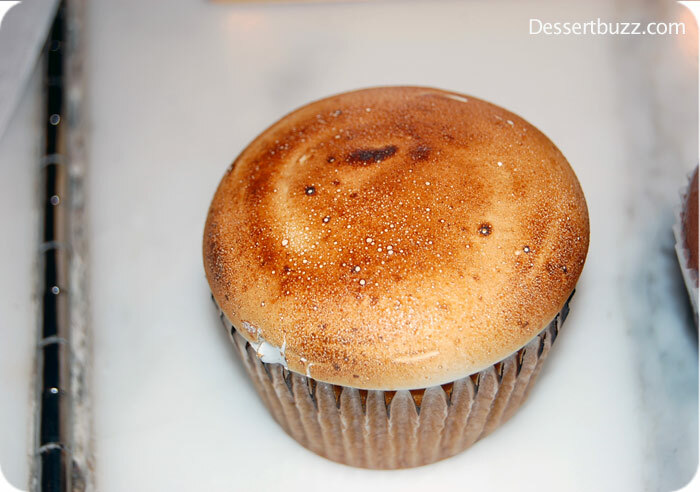 In that case just order the S’mores cupcake with chocolate filling and toasted house made marshmallow topping. The S’mores cupcake is basically a freshly toasted campfire marshmallow on top of a fresh baked cupcake with chocolate inside. These cupcakes don’t belong in the same category as the ones from Crumbs or Magnolia. They are moist, perfectly crafted and have all kinds of textures going on. The care that goes into these cupcakes is evident in how they look. Chikalicious Dessert Club’s website is here.